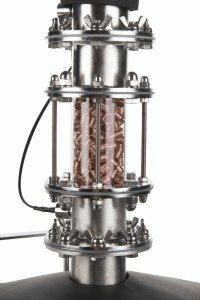 Innovative distillation still, intended for commercial production of spirits in craft distilleries wanting ultimate control and versatility from their still. The still is capable of performing fully automated distillation runs, or provide manual control for the most demanding artisan distillers. If you prefer to go to the contact page, click here! GENIO Still 250 (66 US gallons) is a complete distillation unit designed for distilleries engaged in the production of alcohol for commercial purposes. The still in this case requires more floor space and increased power consumption. Please verify the specifications table to determine suitability or contact your regional GENIO representative. The tank is the ethanol vapour generator and plays a key role for the entire distilling process. Excessive amounts of vapor may lead to blockage of the column (column flooding), whereas a small amount of vapor leads to instability and a very inefficient operation of the column. DIRECTLY HEATED TANKS – the electric heating element(s) are placed directly in the batch. This type of heating is intended for batches without solids. The liquid poured into the tank must be clean and clarified. Our heating elements are made using Stainless Steel Alloy 316L. OIL JACKETED TANKS – the tank is positioned inside another tank with a jacket, which is filled with special oil to provide optimal transfer of heat energy from the electrically heated oil in the jacket to the interior tank wall. For safety purposes, it is a pressure-less jacket system. 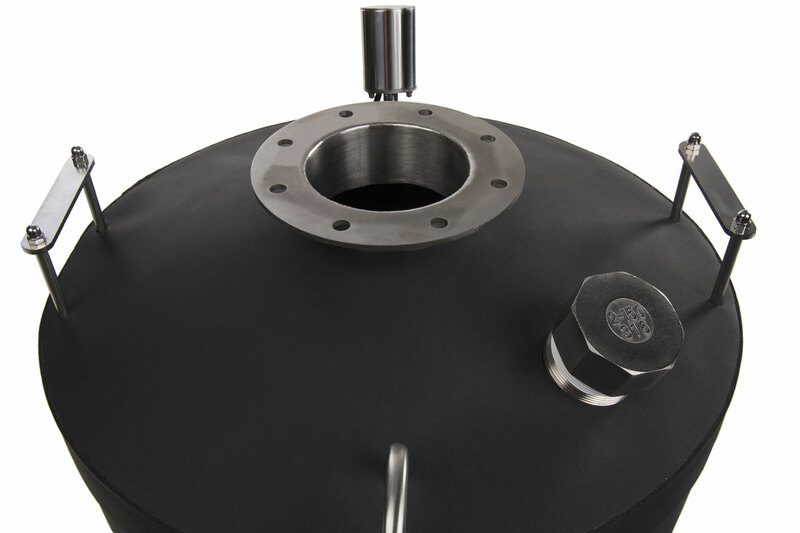 This type of tank allows heating of batches with solids, without the risk of scorching. 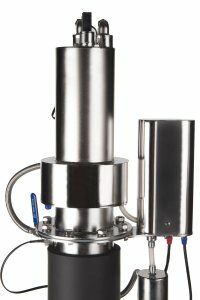 As an additional option, you can order an agitator, which will further increase the efficiency of distillation for batches with solids. 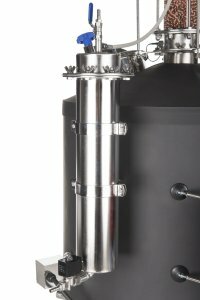 AUTOMATIC ADJUSTMENT OF HEATING POWER – a brand new feature for our GENIO stills is the automatic adjustment of heating power during the distillation process for maximum efficiency associated with time and energy consumption. 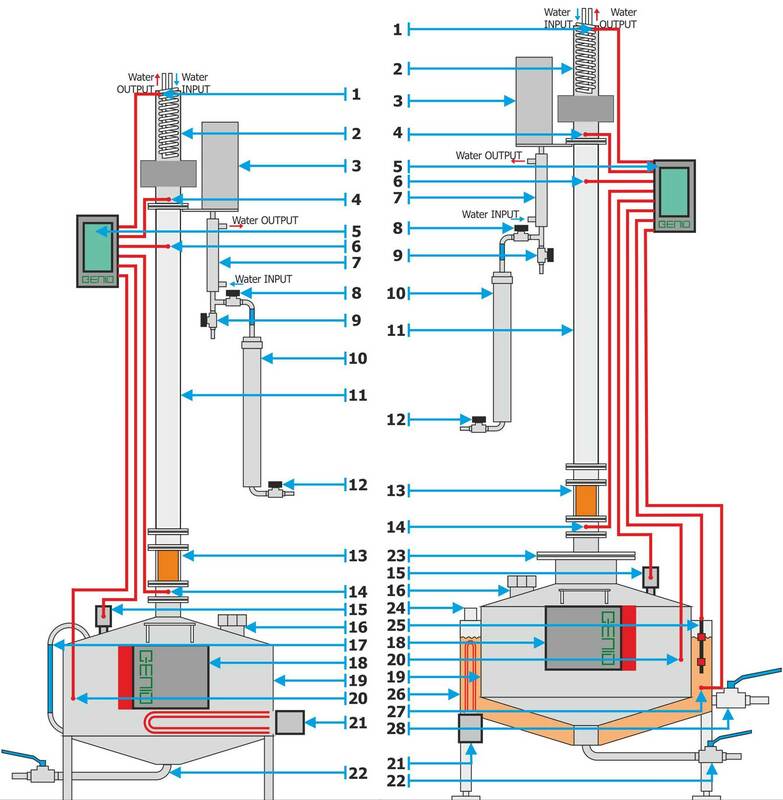 Through pressure and temperature sensors, the algorithm based software analyzes the vapours present in the column versus the column production capacity, and continuously adjusts the amount of heat applied to the batch. 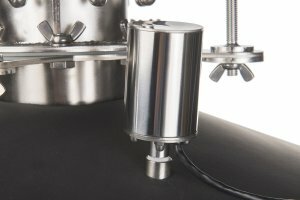 The computer makes sure the process is carried out with the greatest possible efficiency, and at the same time monitors for excess vapors so that flooding of the column does not occur. Heating power can also be adjusted manually during the process if desired. The rectification column is in principle the most important component of the still. It is because the column uses Spiral Prismatic Packing (“SPP”) and the processes occurring within it that we get pure and concentrated distillate of up to 96% ABV. One should always remember that the quality and cleanliness of the SPP has a large effect on the distilled product. The use of SPP allows us to minimize the size of the still, reducing operating costs, while obtaining maximum amount of distillate. In the GENIO Still 50 / 100 series – SPP is made of stainless steel wire with a diameter of 0.18 mm and the prismatic rings have a diameter of 4.3 x 4.3 mm. 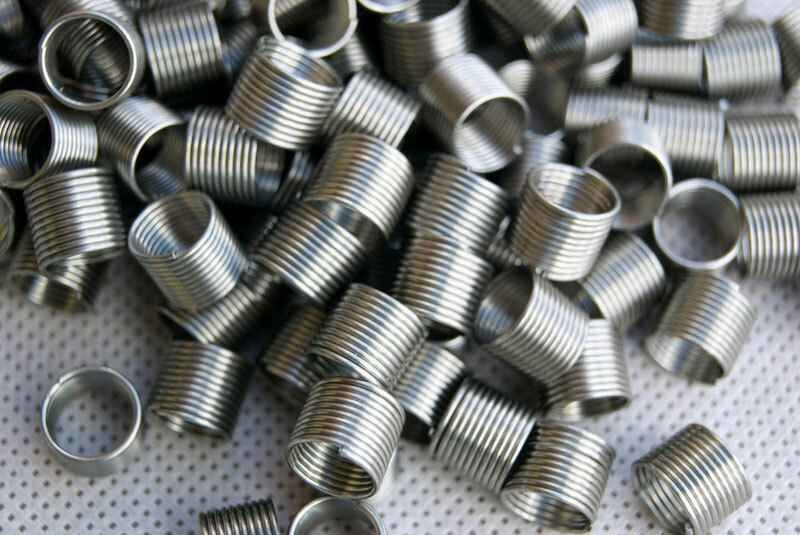 SPP is improved packing originally derived from Raschig rings, and currently provides the best column packing material available with regards to the density of packing material and relation to passing vapor resistance. Thanks to a column with a height of 120 cm we are able to obtain 30 theoretical plates or HETP’s (Height Equivalent to a Theoretical Plate). In the GENIO Still 250 / 500 series – standard packing consists of ceramic Raschig rings (size 10 x 10 mm). There is an option to upgrade to Large SS SPP (9 x 9 mm). Packing material dimensions and properties were specifically selected in relation to the expected amount of vapor to be generated from the tank, the diameter of the column, the column height, and passing vapor resistance. 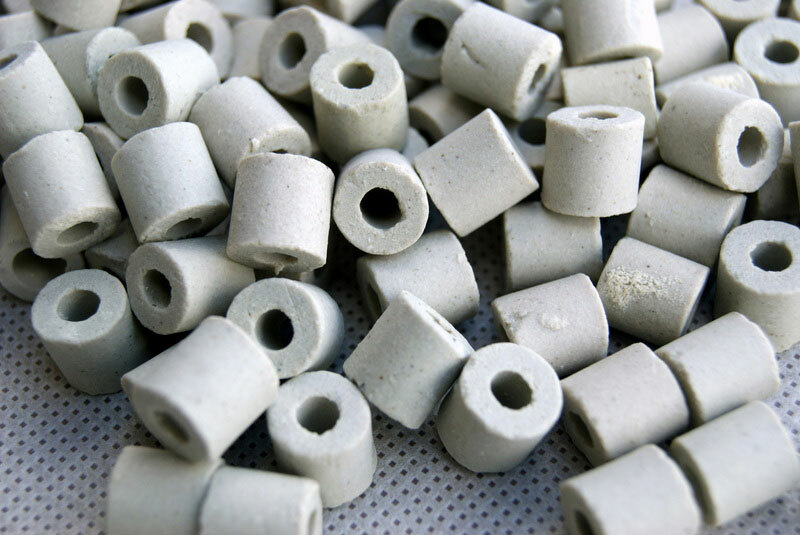 Ceramic Raschig rings – provide about 18-24 theoretical plates (HETP), which allows us to obtain pure alcohol of over 95% ABV, but also appropriate for taste rich products if pot still distillation mode is selected. 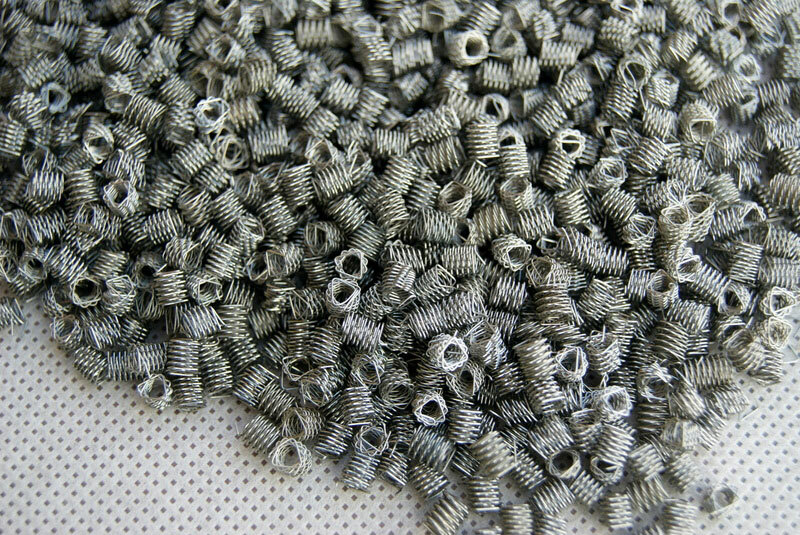 Large SS SPP (Large Stainless Steel Spiral Prismatic Packing) – provides a larger field of exchange – cleaning – with less resistance to passing vapors. 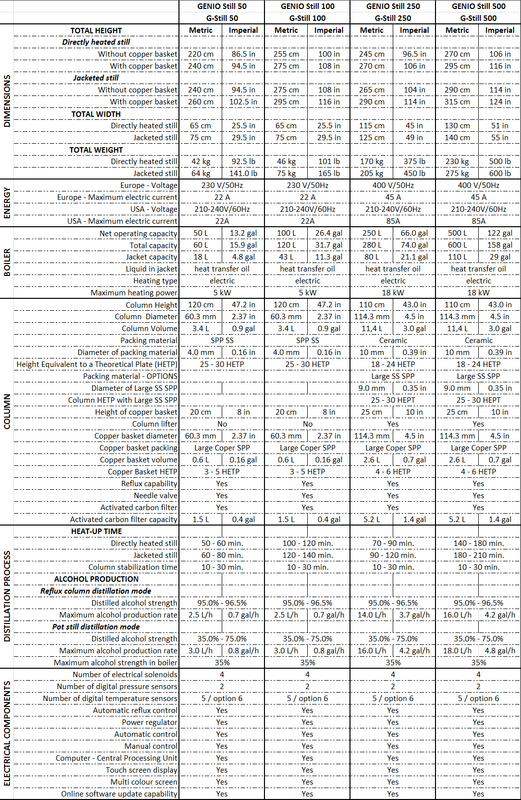 With Large SS SPP we can obtain production of spirits with the highest purity and concentration of up to 96.5% ABV (inside the column, we are able to obtain 25 to 30 theoretical plates). The increased number of theoretical plates can will result in a very clean distillate with minimal flavours and aromas. The next operational segment of the column still is the column head (dephlegmator). This is our exclusive innovation in the GENIO Series of Stills. 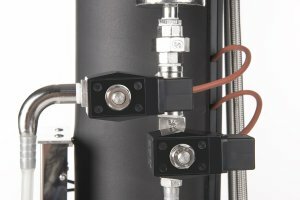 Thanks to the inventive column head design, minimum cooling water is required to condense the ethanol vapor back into a liquid. It should be noted, that with the column head height of only 30 cm, it can even cool vapor produced with heating power of up to 25 kW. The aftercooler is a shelving system required for proper stabilization of the column and the production of pure ethanol. 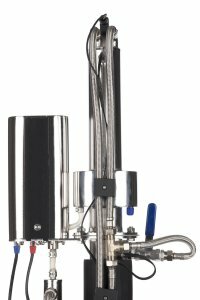 The column head works together with the automatic needle valve. Utilizing the latest technology and the best materials available, we have achieved the ability with almost “surgical” precision in controlling the flow of distillate, which is a necessary condition to receive pure alcohol from the first to the last drop. This allows us to distinguish ourselves from the competition, as it is unavailable in any of our competitors’ stills. 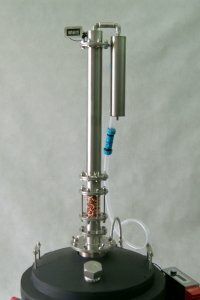 The whole system of column head and needle valve control to obtain reflux is computer controlled by our proprietary software. 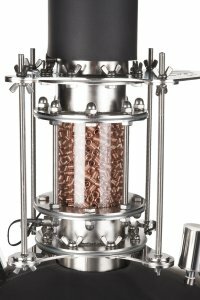 It is this design that puts us at the forefront of distilling equipment manufacturers. The remaining elements serve to increase automation, increase product quality and maximize the effectiveness of the still. The design and construction of each element was accompanied by the following guideline – the component is to be efficient and effective – just like the whole still. Each component in the still has to create many opportunities of use for the individual operator of the GENIO Still. For example, carbon filter is an element which will not harm the product, but can only make it better in the production of clear spirits. 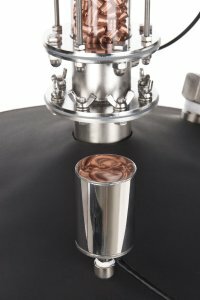 Of course, this element can be omitted, it only serves to broaden the possibilities of using GENIO series stills. The last master “module” of control and automation, is our “jewel in the crown”. It consists of six digital temperature sensors, two pressure sensors, flow sensor, liquid level sensor, four solenoids, stepper motor, heating from 5000 watts to 18,000 watts. The still’s automation is based on direction obtained from our computer with algorithm enabled proprietary software. An automated distillation run is performed in the following manner – fill the tank with your batch, turn on the program parameters and leave the still alone. The entire process will be carried out automatically. Electronic components (circuit boards) are custom produced based on individual orders according to our technical drawings by companies specializing in producing electronic components for global brands. 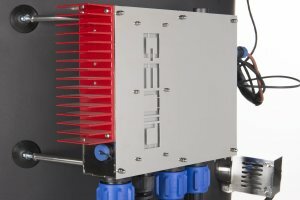 GENIO software is unique, a one of a kind product that is only compatible with GENIO Series Stills – the concept for the software was the result of distilling knowledge, but the algorithms and methods to control the automation are the result of hundreds of hours of testing and trials. It is essentially the collected “essence” of the entire distilling experience. Our software and algorithm is the part of our intellectual property that cannot be “replicated” and it is the “flagship” of our company. 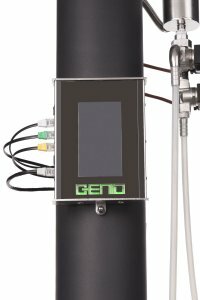 We believe to be the only still manufacturer that will offer the possibility of trading in your previously purchased GENIO still when buying a newer or larger version. 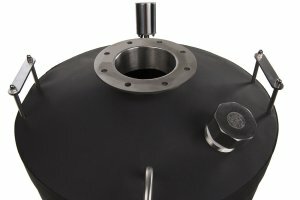 Our stills come with a 24-month written warranty, which includes couriering replacement parts and requesting the return of the defective component. We provide sales and after-sales service by personnel with specialization in distilling, and who work out of an operational distillery showroom located in each region of the world. Copper basket is used for treatment of alcohol vapours containing sulfur-based compounds. These compounds are created during fermentation under certain conditions in small quantities (from 0.0007 mg / drop m³, which is a drop per 200 gal of liquid). Sulfur is noticeable to humans as a “rotten eggs” smell. 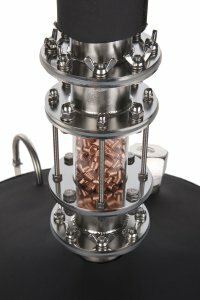 By allowing the column vapors to pass through the copper basket, sulfur-based compounds will attach themselves to the copper packing within the basket. As a result, one will obtain a cleaner distillate. 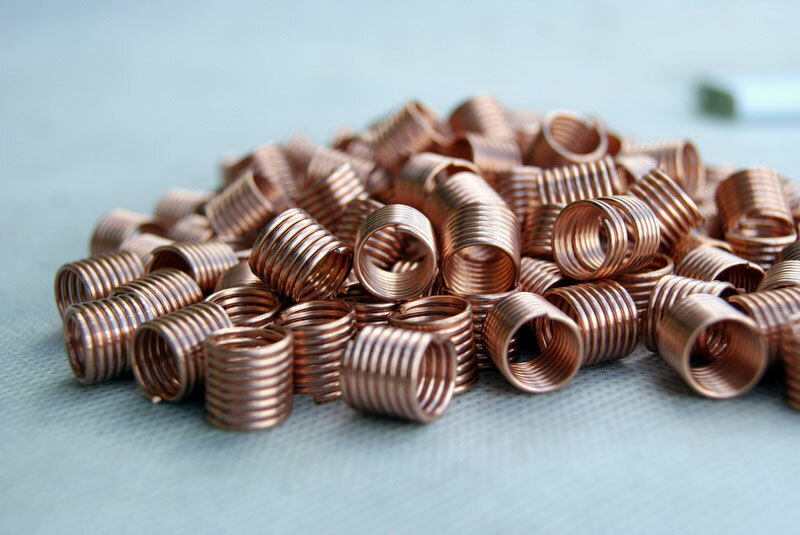 In this respect, copper is indispensable and the most effective remedy for ailments such as the smell of “rotten eggs”, but on the other hand it is very prone to oxidation. Particularly after distillation, where it is subjected to temperatures of 100 ° C; and the action of the aggressive alcohol vapors almost immediately oxidizes the copper, turning it green, or even black. These compounds are harmful to humans and the environment. Therefore, it is important to maintain the copper in its original orange colour. To ensure the copper can be monitored for cleanliness, we have made the copper basket out of glass. This allows us to visually monitor the purity of the copper SPP. The copper basket may also be used as a gin basket, by replacing the copper SPP with botanicals. This option provides an opening on top of the tank that is 4 inches in diameter, as opposed to the standard 2 inches. The option will only be available for purchase for directly heated GENIO Still 50 and 100. 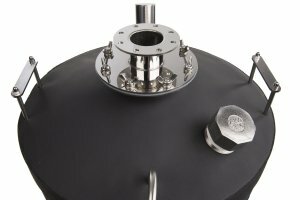 Jacketed GENIO stills already come with a standard 4 inch diameter opening. Enlarged tank opening provides the ability for a thorough inspection of the tank’s interior and ability to hang botanical bag for gin making. We offer a small stripping column to be used with our current stills. Stripping columns can be utilized for simple distillation, with a significantly reduced amount of theoretical plates. The stripping column is especially recommended for tanks with an oil jacket, which would be ideal for distilling on the grain, with no risk of scorching solids. Oil jacket is a special design enabling distilling of alcohol from washes containing solids. In contrast to the directly heated tank, we have a second vessel which is seated in a reservoir. The reservoir contains special oil, as well as corresponding heating elements. Special oil will be included with the Jacket 50 option. It should be noted that the oil jacket operates at atmospheric pressure, therefore there is no risk of the jacket being over pressurized. 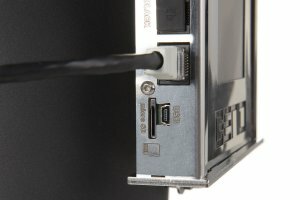 The control of oil and its temperature is controlled by a computer. This option is available for jacketed tanks only. 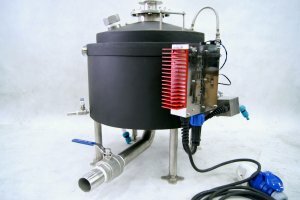 It consists of an electric motor, gear reducer, and a stirrer, mounted on the tank. 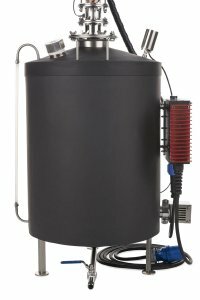 It provides increased distillation efficiency by stirring on the grain washes in the tank, where the natural (gravitational) exchange and mixing of the charge is difficult. GENIO Stills are made of stainless steel, and come standard cleaned with special brushes which gives them a matt appearance. Finished stainless steel is fully prepared to work and is protected against aggressive substances. However, the Mirror Polished SS option is to subject the entire column to additional chemical treatment as well as manual polishing in order to obtain a stainless steel surface with the highest degree of smoothness – the finished surface resembling a mirror.